Karnataka's misfortune with the office of Lokayukta continues unabated. It's over five weeks since tainted Lokayukta Justice Y Bhaskar Rao was forced to resign, but the appointment of his successor has hit a snag, thanks to Chief Minister Siddaramaiah. The search committee had shortlisted three names - two former judges of the Supreme Court, Justice Vikramjit Sen and Justice Cyriac Joseph, and the former chairman of the Karnataka Human Rights Commission, Justice SR Nayak. 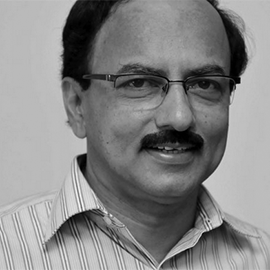 Read: Bhaskar Rao finally quits. But will the Karnataka Lokayukta survive his taint? Justice Joseph quickly dropped out of the running, as he had had a controversial tenure both as the Chief Justice of the Karnataka High Court and as a judge of the Supreme Court. Till last week, Justice Sen, who retired from the Supreme Court on 30 December 2015, seemed to be the overwhelming favourite, as most people agreed that with his impeccable credentials, he would be the right person to restore credibility and integrity to the office of the Lokayukta. When the selection panel - consisting of Siddaramaiah, Justice SK Mukherjee (Chief Justice of the Karnataka High Court), Jagadish Shettar (leader of the Opposition in the Assembly), KS Eshwarappa (leader of the Opposition in the Council), Kagodu Thimmappa (Assembly Speaker) and DH Shankaramurthy (Council Chairman) - met, it was Justice Mukherjee who first spoke up in favour of Justice Sen.
Shettar, Eshwarappa and Shankaramurthy concurred, but Thimmappa showed his preference for Justice Nayak on the grounds that he hailed from the backward classes and was a Kannadiga to boot. Siddaramaiah offered his implicit support, but remained silent. Hence, the meeting concluded without taking a decision. Soon enough, some ministers and Congress functionaries began to openly campaign for the appointment of Nayak, flashing his son-of-the-soil card. Nayak's opponents, meanwhile, pointed out that there were cases pending against him, virtually disqualifying him from holding the post of Lokayukta. After learning that there was no unanimity on his candidature and, specifically, that he had not got the backing of the CM, Justice Sen withdrew his name, leading to celebrations in Siddaramaiah's camp. Civil society groups, which had opposed Nayak's appointment, meanwhile, came up with the public disclosure that there were two cases pending against Nayak, one each in the Karnataka High Court and the Supreme Court, which made him ineligible for appointment as Lokayukta. The more serious case pertains to the illegal acquisition of a prime piece of land in Bengaluru. Nayak had been allotted CA Site No. 859/C (meant for civic amenities) by the Karnataka Judicial Employees House Building Cooperative Society in 2002, allegedly in violation of rules. The Supreme Court had held in 1995, in the case of Subramani vs Union of India, that "it's beyond imagination that judges of high courts and the Supreme Court can be admitted as members of judicial department employees' society", and any favours they receive in such capacity would be in violation of law. Justice Nayak and several other Karnataka judges are facing a lawsuit in this connection, and the high court has reserved its ruling after arguments by all parties to the dispute. Besides, many jurists, including former Lokayukta Santosh Hegde, hold that Nayak, having functioned as chairman of Karnataka Human Rights Commission for five years, is 'disqualified' from becoming the Lokayukta. They point out that under Section 24(3) of the Protection of Human Rights Act of 1993, it is clearly mentioned that "...on ceasing to hold office, a chairman or a member (of the Human Rights Commission) shall be ineligible for further employment under Government of India or under the government of any state." A plaint in this regard against Nayak was dismissed by the Karnataka High Court, but a special leave petition is still pending in the Supreme Court. Justice Nayak has asserted that he has the 'right qualifications' to become the Lokayukta, but has denied any knowledge of being in the race. By now, Nayak's name would have found its way to Governor Vajubhai Vala's office for appointment as Lokayukta, but the Chief Minister has been cautioned by his colleagues that he should tread carefully, as the Governor is unlikely to sign on the dotted line and insist on a thorough background check on Justice Nayak. In the last two months, Siddaramaiah had the bitter experience of his government's efforts to appoint Justice KL Manjunath as Upalokayukta being thwarted by Governor Vala, who returned the files three times. The government was left with little option but to go for an alternative and Justice N Ananda, who has a clean record as a high court judge, was chosen. SR Hiremath, president of Samaja Parivarthana Sangha, a voluntary body which has been fighting corruption cases, alleges that Siddaramaiah and his cabinet colleagues want to appoint a 'soft person' such as Nayak as Lokayukta, in order to get 'protection' in the cases pending against them. Earlier, Bhaskar Rao had cleared the name of Siddaramaiah in a case of denotification of 3 acres of prime land in Bengaluru, but the much bigger issue of denotification of around 800 acres in the Arkavathy layout is pending before the Lokayukta. Then, there is industries minister RV Deshpande, who is accused of 'grabbing' 114 acres of forest land in violation of rules, which is also likely to land up before the Lokayukta. Energy minister DK Shivakumar has illegal mining cases pending against his name, and it's a time bomb he has managed to suppress for a long time. 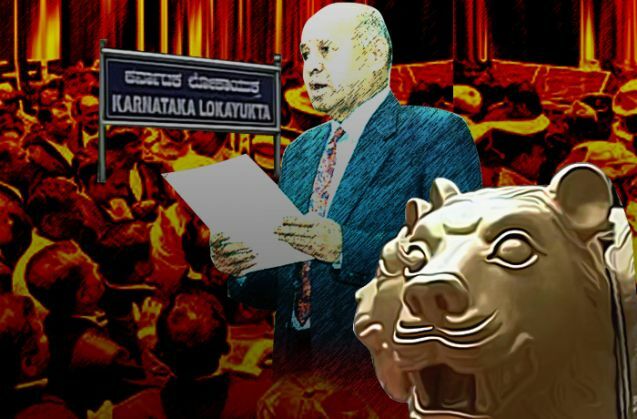 So, for corrupt politicians, there's a lot at stake in the appointment of a new Lokayukta. And it's unlikely to be resolved soon. Can football herald peace in strife-torn Kashmir?